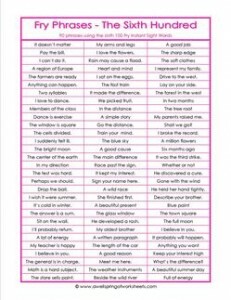 Fry Phrases – The Sixth 100 lists 90 phrases using the sixth 100 words from the Fry words list. Examples are: The test was hard. Shall we go? and Sign your name here.